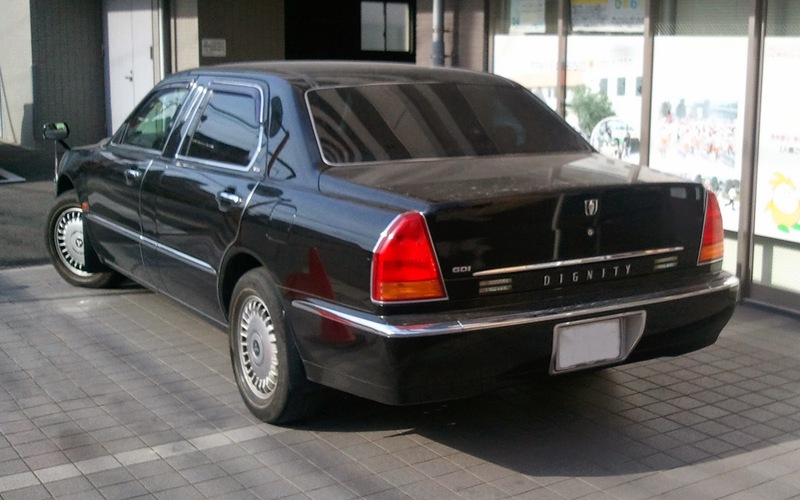 The Mitsubishi Dignity, whose name was derived from "the English to describe the peerless grandeur and majestic stateliness of the model", is a limousine originally manufactured by Mitsubishi Motors from late 1999 as the flagship of the company's domestic range, alongside the smaller Proudia luxury car, and was reintroduced 2012 to Japanese buyers based on the Nissan Cima. In Japan, it was sold at a specific retail chain called Galant Shop. The entire Proudia/Dignity range was designed by Mitsubishi Motors and co-manufactured with Hyundai of South Korea, who marketed their own version as the Hyundai Equus. 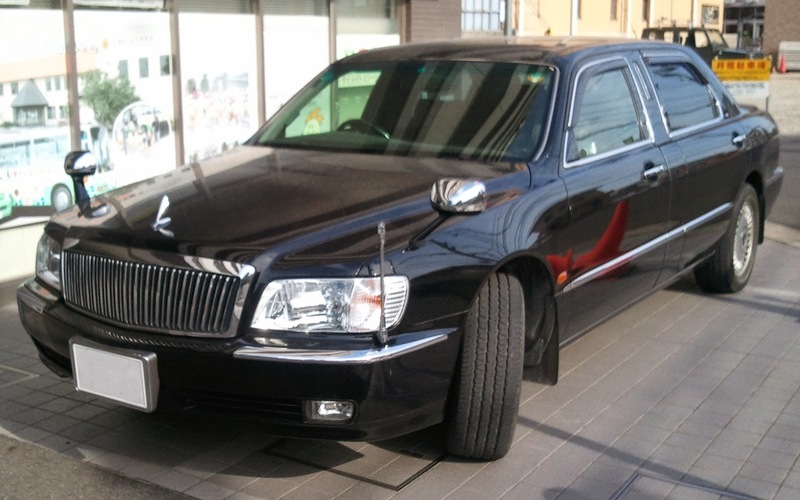 The Dignity was introduced as a competitor to the Nissan President and Toyota Century as the top level flagship, however Mitsubishi chose to use a transverly installed engine with front wheel drive. A Dignity is used by Prince Akishino, brother of the Emperor of Japan. The ¥9,990,000 Dignity (S43 chassis code) featured Mitsubishi's 8A80 4,498 cc V8, a 90-degree aluminium-block GDi engine producing 280 PS (206 kW) at 5000 rpm and 412 Nm (304 lbft) at 4000 rpm, and an extension of the Proudia's exterior dimensions in order to liberate more interior space for the rear occupants; the roofline was raised by 10 mm (0.4 in) and the wheelbase by 250 mm (9.8 in). It used MacPherson struts for the front suspension and a multi-link suspension for the rear wheels. The car was equipped with several advanced features like CCD cameras to monitor adjacent lanes and behind the car, and a laser activated adaptive cruise control. The Dignity and Proudia's combined volumes fell far shy of Mitsubishi's forecasted 300 sales per month, and they were available for only fifteen months from their introduction on February 20, 2000, before Mitsubishi's financial difficulties forced the company to discontinue both models in an effort to streamline its range and reduce costs. However, the Hyundai Equus proved more commercially successful and would remain in production until replaced in 2008. 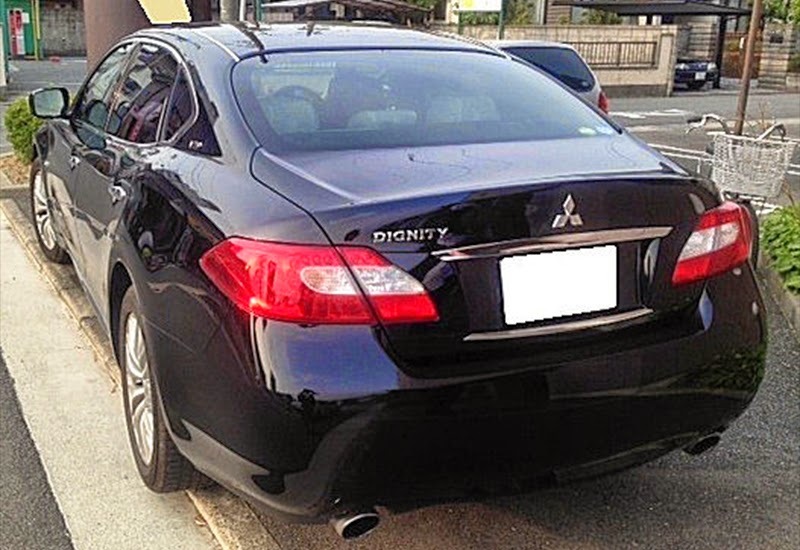 Mitsubishi decided to resurrect the Dignity name using the reintroduced Nissan Cima name to Japanese customers only starting April 26, 2012. The second generation is slightly taller, but narrower and shorter, and is lighter by 200 kg (440 lb) over the previous model. This generation is the first hybrid car offered by Mitsubishi vehicles in Japan, and it complied with the 2005 emission standard, achieving a 75% reduction level over the previous model, and achieving the March 27, 2003 Japanese Governments fuel economy standards. While the Dignity is only offered with one engine option, the Nissan "Pure Drive/Hybrid" badge is not installed, and it differs cosmetically from the Cima on which it is based. Many items offered on the Dignity are carried over from the Cima, including the lattice rear retractable window screen. Also, Garnet Black Pearl body color are not offered on the Dignity, with Mitsubishi offering a different paint color. The Dignity is offered in only one trim package, called the "VIP", which is equalivant to the Nissan Cima HYBRID VIP G (series HGY51), however the Dignity is not available with AWD, while the Cima is. The term "VIP" reflects a high status car in Japan. 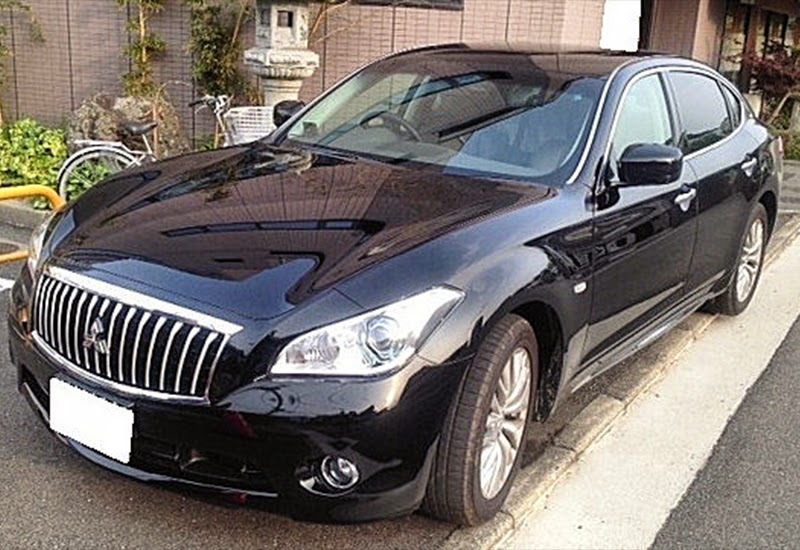 Prices have been reduced from its predecessor by ¥1,590,000. Nissan's GPS navigation system called CarWings is also included. Last updated on 8 May 2014 at 02:38.